ANTHONY B. ALMEIDA, the internationally known architect, who passed away at the age of 98 in Dar es Salaam, Tanzania, was one of those rare Goans who chose to live and serve the African country of his birth. However, you could not take the Goan out of him completely. He was also close to Tanganyika’s (later Tanzania) first President, Julius Nyerere, himself one of the most outstanding leaders of an African country and one who stepped down from high office and into quiet retirement until his death. Tony, as he was known amongst his friends and family, designed Nyerere’s first home. 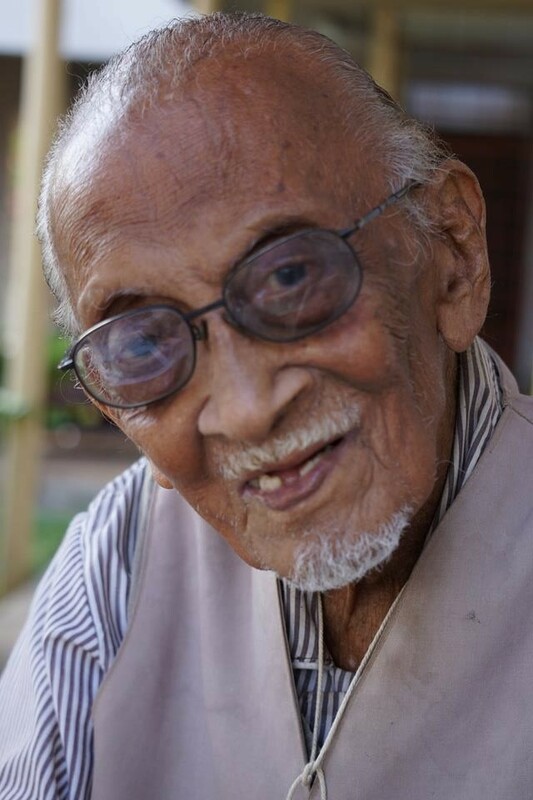 Tony was born in 1921 in Dar es Salaam to parents who had emigrated to Tanganyika from Goa. He was quite proud of the fact that he went to the J J School of Architecture in Mumbai (1941-1948). He often said that his architectural studies could be said to have been greatly enhanced by the fact that they took place in a land uniquely endowed with a rich heritage of ancient architecture. He was also impressed by the fact that the college also placed a great score on the study of this wonderful heritage. Another element that also impressed was the group of foreign lecturers who taught at the college. The lecturers also enriched the library with publications and books on architecture from their home countries. Through this, Tony was able to keep abreast the modern trends in architecture from around the world. Through the library, Tony came to learn much about some of the giants of architecture of the time: Frank Lloyd Wright, Le Corbusier, Erich Mendelsohn, Alvar Santo and Oscar Niemeyer… Their influences instilled in Tony a principled search for modern solutions. Tony worked for a little while in India and was soon elected an associate member of the Royal Institute of Architects of London. He returned to Dar es Salaam in 1950 and quickly began designing commercial and residential buildings for the Asian community. His Indian influence was easy to spot, mainly by the soft/hard colours his creations were painted (colours that visible in abundance around India and especially during the festival of Holi). “The introduction of Art Deco in the trading quarters of the African cities is of predominantly Indian origin. It characterizes itself through pastel coloured concrete and plastered masonry façades applied too often quite straightforward and simple buildings. Most of these buildings have a combined commercial and residential use. In East Africa, these are called the duka, shops kept by the Indian trader, the dukawalla, who lives in the apartment above his shop. This typology and style remained popular throughout the 1930s to the late 1950s,” was how it was remembered in print many years later. The first few years were a bit of a struggle but then the colonial government, in 1953, asked Tony to design various police stations/posts around the country. In 1954, the Goan community invited Tony to design a primary school (St Xavier's). While some colonial architects turn up their noses at the finished project, Tony would always remember it as the one that really made him Tanzania. When independence came in 1961, Tony was in the right place at the right time. It was not long before, Tanzania was bereft of any white colonial or Asian architects and he was soon designing large office blocks, a library, hospital and lots and lots of new projects. 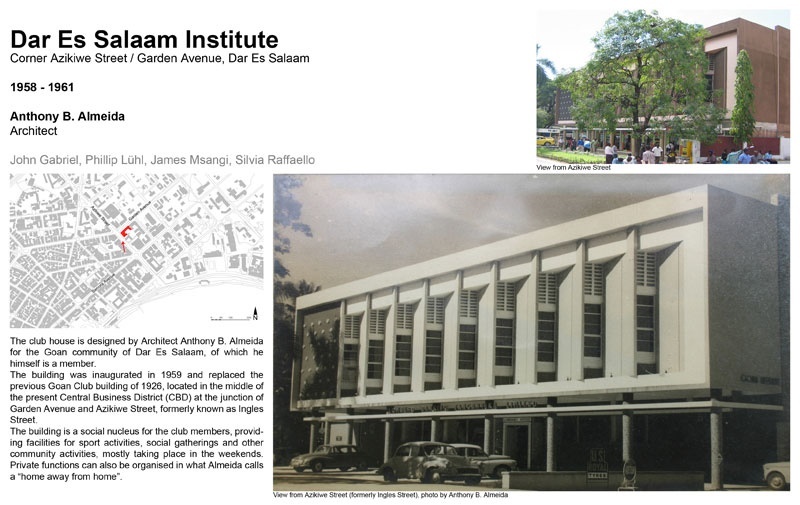 One that is close to his heart is “new” home of the Goan Institute Dar es Salaam he designed for the Goan community. In its infancy, it was quite posh and revolutionary. Folks loved the place. Amongst other architects that advocated an African ‘critical regionalism’ in their work and writings are Anthony Almeida (born in 1921) in Tanzania, Jean François Zevaco in Morocco, Norman Eaton in South Africa and Demas Nwoko in Nigeria. Engineering Modernity in African Architecture. The introduction of Art Deco in the trading quarters of the African cities is of predominantly Indian origin. It characterizes itself through pastel coloured concrete and plastered masonry façades applied too often quite straightforward and simple buildings. Most of these buildings have a combined commercial and residential use. In East Africa, these are called the duka, shops kept by the Indian trader, the dukawalla, who lives in the apartment above his shop. This typology and style remained popular throughout the 1930s to the late 1950s. VIVIAN A. D’SOUZA (In Goans_Tanzanite) Relatively short in stature and slight in build, but a Giant of a personality. This was our late departed beloved Tony Almeida. He was friendly but unassuming. Of course, my memory goes back to the time I last saw him, over 50 years ago in Dar es Salaam. The land for our DI was acquired after the First World War, from the Custodian of Enemy Property, and our intrepid ancestors were able to acquire the great piece of property which was strategically located and convenient to the Goans who at the time all lived in town. The original Goan Institute was like a giant red roof tiled bungalow, with the Hall being the centrepiece of the building, with a large playground on the side where we played football and hockey etc. With a burgeoning membership, the club became too small to serve the membership, and a new building was planned. And who else to design the building then our very own member and illustrious architect Tony Almeida. Tony faced many design challenges. To help fund our new building, half of the playing field was sold to an Oil company to establish a Petrol station. Part of the building (below the Hall) gave way to commercial space, which provided a stream of revenue to pay the building loan. So Tony was, left with constricted space, to construct a facility that would meet the need of our Goans. And the result is evident for all to see. It is a lasting legacy to this great Architect. As long as the building stands, it will be a lasting memorial to him. I do not recall a plaque within the DI acknowledging who the Architect was. Tony probably in his unassuming manner would have objected. But now that he is no longer with us, I think, a plaque placed in a strategic location within the building should be installed in lasting memory of this great guy. And the appropriate time to unveil the plaque would be at the Centennial celebrations in December. ALBERTINA DOURADO (Goan_Tanzanite): I knew Toni Almeida personally (yes he spelled his name with an i) as he is the father of my classmate and friend Alison. In fact I know the whole family as I went to their place frequently when I lived in Dar. When Alison was studying in England they would pick me up and take me to the airport to meet her when she came back for summer holidays. I also exchanged Christmas cards with Toni after I moved to Canada. I kept in touch my friend Alison over all these years and she told me about his passing. He was cremated today (March 20th) at 10 a.m. and Mass was held at St. Peter's at 4 p.m. local time. I had two long conversations with him when I was in Dar in 2015. He also designed his house in Oyster Bay where he continued to live till his death. He was an amazing man and still had a sharp recollection of everything. Of the local architects, one stands out for particular mention: Anthony Bosco Almeida (1921-). He came from a very different background to the colonial émigré architects. He was not blown into Tanzania by the western winds. He was born there. His parents were from Goa. His architectural training was in India where he attended – from 1941-47 – the Sir JJ School of Arts in Bombay. His brother, a well-known architect in Goa today, also trained there. The head of the JJ School, Claude Batley, had a great influence on Tony Almeida leading him into an interest in history and knowledge of modern architecture. He introduced him to the work of Frank Lloyd Wright. In 1948 Almeida became an Associate of the RIBA when he was working in offices in Bombay. 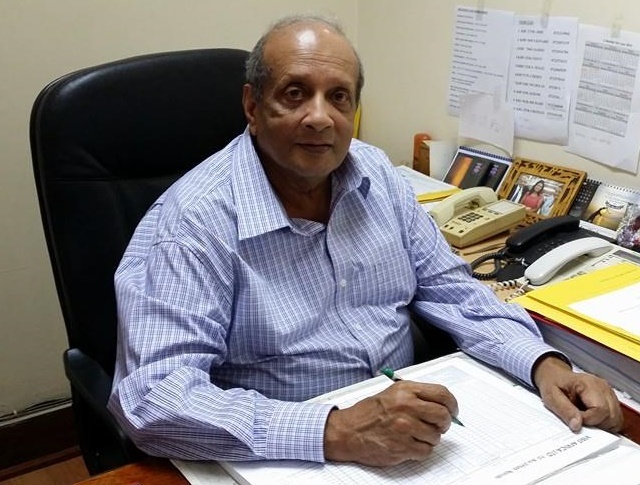 That year he returned to Tanganyika and in 1950 set up his own practice in Dar es Salaam in offices on the corner of Samara Avenue and Bridge Street which he still occupies. Almeida belongs to a generation of architects whose buildings express their functional and social commitment to society, offering by built example or practical demonstration of their skills as architects rather than through publications and theories. Tony Almeida’s brother Sarto, in India, was committed to the development of ideas worked out with Doshi at the time Le Corbusier and Louis Kahn were also building in Ahmedabad, but later connected with the regional characteristics of Goa and Indian cultures. Tony Almeida drew from the international reservoir of architectural ideas. These included the functional and Corbusian aspects of the Modern Movement and Miesian structuralism and transparency. Frank Lloyd Wright’s ideas are reflected more in his planning and landscape work than in his form giving which are tuned, like a weather vane, to local conditions. Almeida was one of the first of the Tanzanian architects to employ simple rules about sun shading in his buildings taking the lead from Le Corbusier’s brise soleil but – like Amyas Connell in Kenya – did not fight shy of using perforated screens for shading interiors. He knew well from his Indian connections that sun shading devices afforded pattern and transparency as well as protection which could materially affect the external appearance of facades of new buildings. 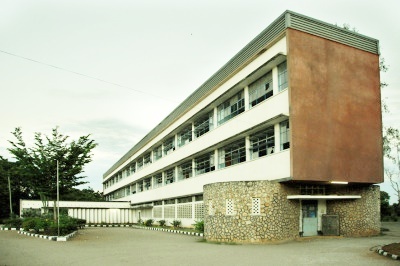 For example in the Regional HQ for the East Africa Community of 1965 he employed horizontal shading shelves while with St Joseph’s Secondary School (1955) and the Goa Club (1959) facades was more geometrically patterned. Almeida’s buildings are highly regarded and constantly used although sadly for commercial reasons his carefully detailed and colour scale Central Library will be topped by a new and ill-considered addition by another architect. The clear and simple characteristic of this building first designed in 1968 was its elevated first floor with a central well-lit court and stairwell. Approached from another staircase also in the street it was a lively addition to the Dar street scene but has now been forced by an understandable increase in demand to respond to the re-scaling of the city around the central business area. His own house at Oysterbay of 1963 he is modest about. A neat, flat-roofed, well-planned, cool (not air-conditioned!) and functional unit of family accommodation it is set out in three zones. These zones cover the activities of living and entertaining, kitchen services and dining and a further first-floor living room and bedrooms above a ground floor garage. In between a courtyard garden acts as the open air area for the house. Almeida’s large scale structures include the Regional HQ of the East Africa Community in Dar of 1965 which is an eight-storey RC building fashioned somewhat like a miniaturised Unité. His two taller eleven-storey concrete buildings: the National Insurance Corporation of 1970 and the Tanzania Harbours Corporation of 1974 rely on a more conventional square format. In 1975 Almeida was commissioned to design an interdenominational Joint Christian Chapel for the University of Dar es Salaam. Situated opposite a somewhat truncated Mosque, designed by Ernst May and financed by the Aga Khan, the two structures provide a small, quiet religious enclave in a university complex that is elegantly spread out, well landscaped and boasting many fine modern buildings designed by Norman and Dawbarn, a British firm which still has offices in Dar. The key to the design of the church is to be found in its simple, formal and symmetrical plan with a central chapel and two side chapels and two vestry’s adjacent to the dual entrances. The main square shaped central chapel rises through the building to end up as a great cantilevered flat concrete roof embracing the smaller and lower side chapels. Circular stairs punctuate the entrance corners and act as successful counterpoints to the hard-edged fine concrete architecture of the chapel as a whole. Although built some thirty years ago the JCC stands as a reminder of that tough Brutalist period of Modern architecture associated with Denys Lasdun, the Smithson’s and Lyons Israel and Ellis in the UK whose buildings were widely published in international journals and were no doubt familiar to Almeida. His Goa Club or Dar es Salaam Institute (1960) is still situated on a corner site in the busy central area of Dar. Another reinforced concrete structure with perforated walls and overhanging roofs it was designed to provide clubhouse facilities for the members of the Goan community in Dar although few are left today. It is entered from a tight, busy, densely packed urban street and opens up from a centrally placed doorway. Inside an oasis of architectural forms that curve around the sunken garden area with an open-air dance floor, now unfortunately neglected and overshadowed by surrounding buildings. Another building for the community, St Xavier’s Primary or ‘The Goan school’, is one of Almeida’s most interesting and successful Modernist buildings. It was completed in 1954. In 1960 Almeida received the award of ‘Chevalier of the order of Prince Henry the Navigator‘ from the Portuguese government for his design for the Vasco da Gama Memorial sited on the Kenyan coast at Malindi. It is Almeida’s originality as an architect that has led to an interest in acknowledging the body of work he has produced over a lifetime. This raises the vexing question of the conservation and indeed the documentation of this body of work. To this end, the ARCHIAFRIKA foundation project has been set up to study modern architecture in Tanzania around independence and in particular the work of Anthony Almeida. The project involves the universities of Eindhoven, The Netherlands and Leuven, Belgium assisted by a number of international specialists knowledgeable in the architecture of East Africa. Currently, applications are being made for financial backing for the research which aims to produce an exhibition, catalogue publications, photographic records etc as well as seminars and conferences in the University of Dar es Salaam.